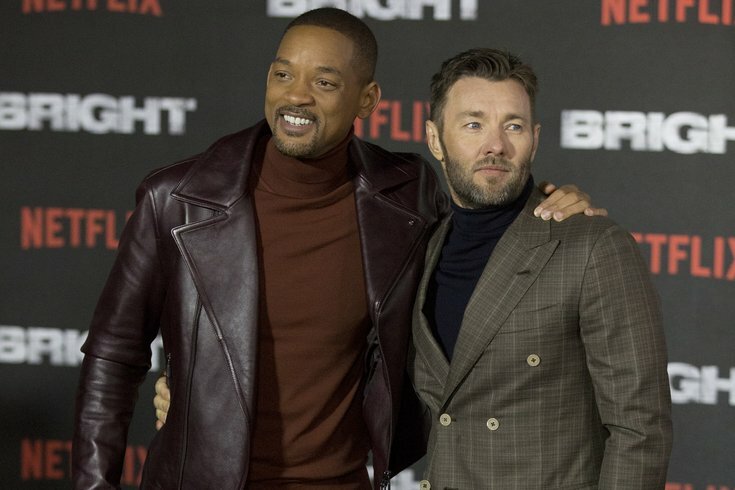 Will Smith (left) and Joel Edgerton arrive for the European premiere of Bright at the BFI Southbank in London. As Will Smith continues to try to stabilize an acting career that's taken a critical beating in recent years (and a music career that could benefit from a flashy-thing right about now), one thing is certain about the 49-year-old West Philly native: his marriage is as strong as ever. Smith, who recently joined Instagram, took to the social media platform over the holiday weekend to celebrate 20 years of matrimony with Jada Pinkett Smith. In the past, Smith told US Weekly about the couple's challenge of having to choose sometimes between career fulfillment and keeping their relationship healthy. "The problem is one person is in work mode while the other person is in chill mode," Smith said. "Then it's like you're both trying to come up. It is really something that will happen in time. And you'll realize that you're either really committed to having a relationship, or you're really committed to coming up. At some point one or the other is going to have to suffer." Smith and his wife, parents to Jaden, 19, and Willow, 17, are also raising and supporting children who are themselves celebrities. And if you ask Willow, it's "terrible" growing up in a famous family. Whether or not that was just teen angst, it sounds like Smith has some solid advice for how to approach lasting happiness in a marriage.